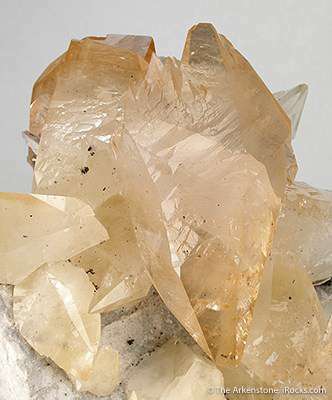 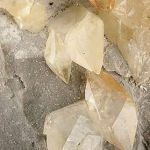 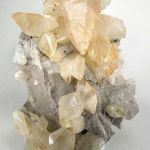 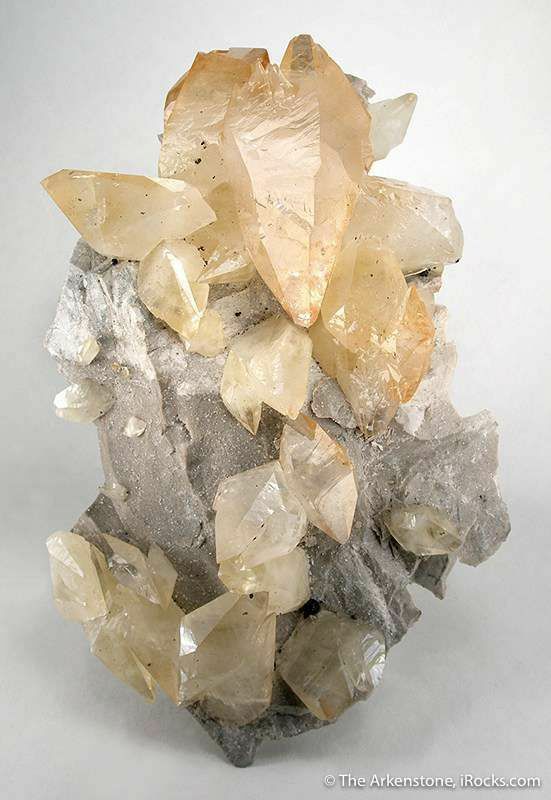 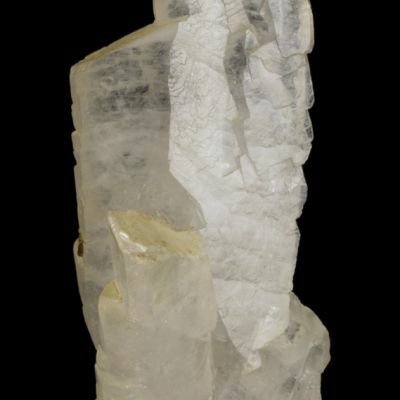 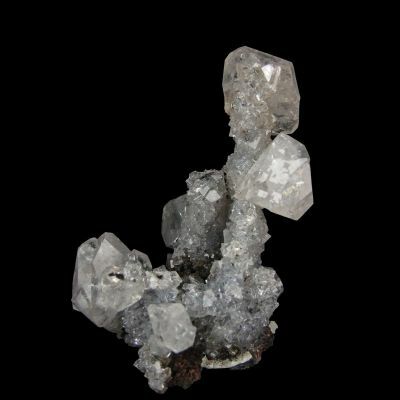 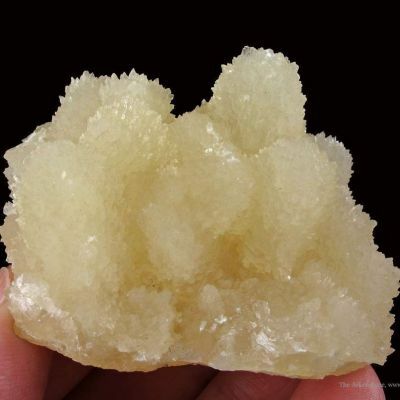 A large plate of gray limestone is encrusted with approximately 25 calcite crystals up to 10 cm across. 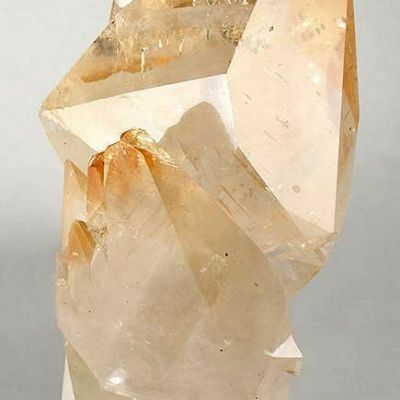 Most are doubly-terminated and a few are twinned. 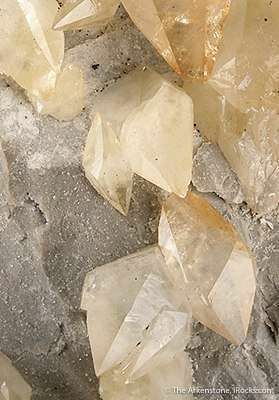 They are very LUSTROUS and many show great relief from the underlaying rock matrix. 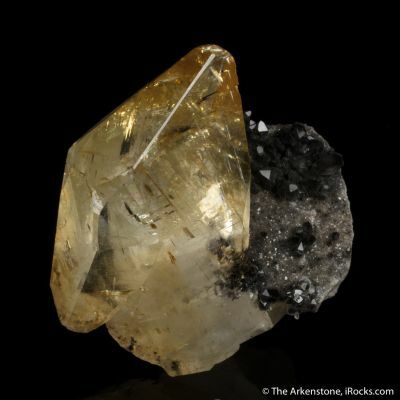 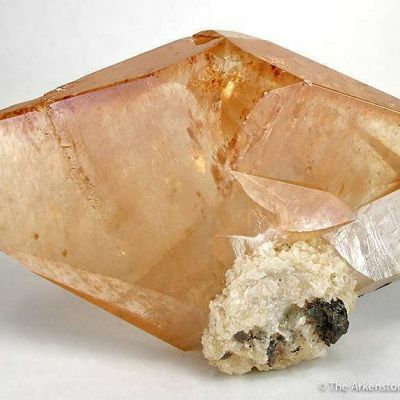 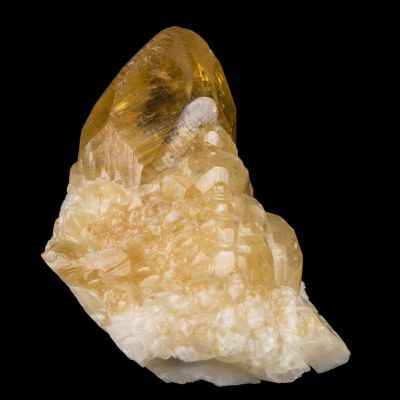 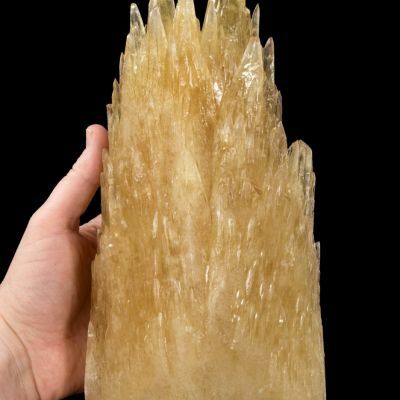 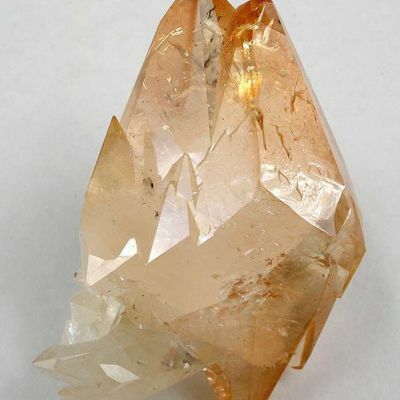 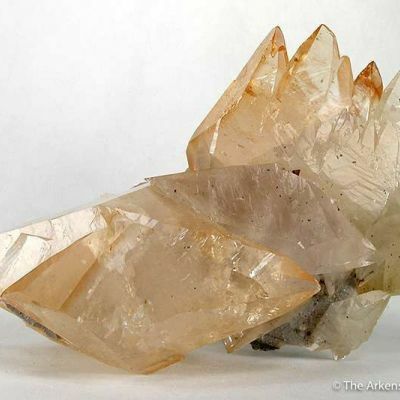 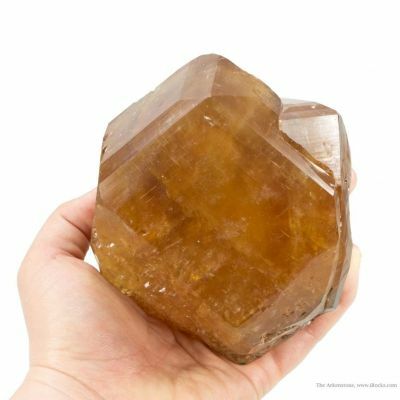 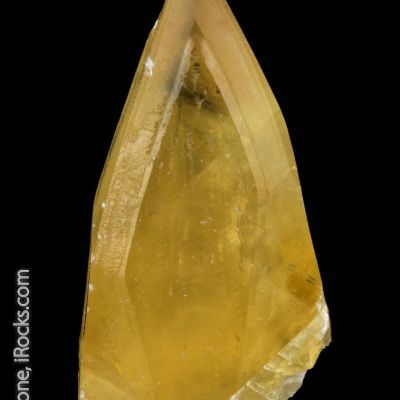 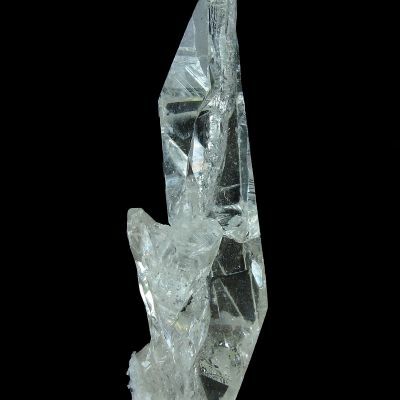 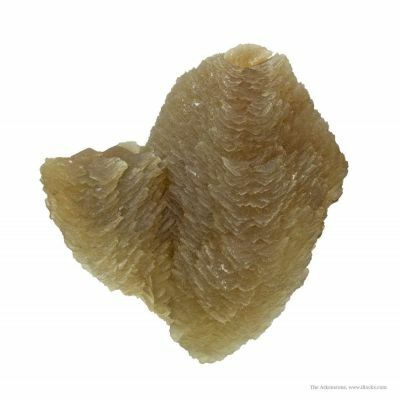 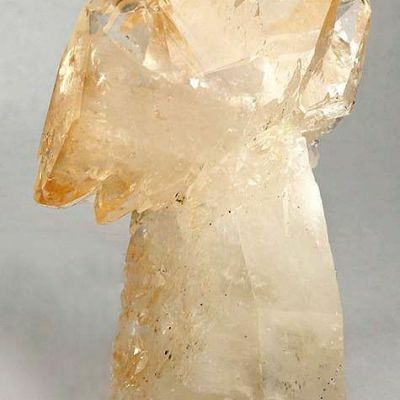 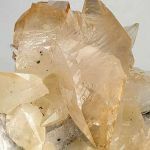 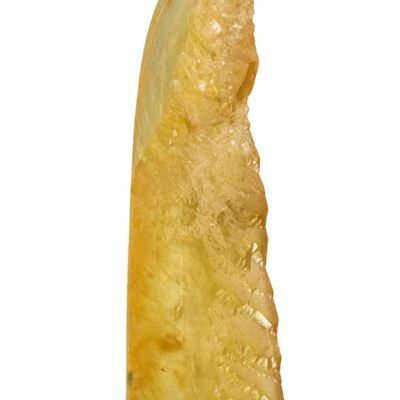 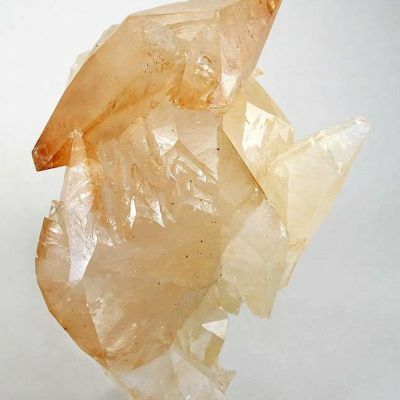 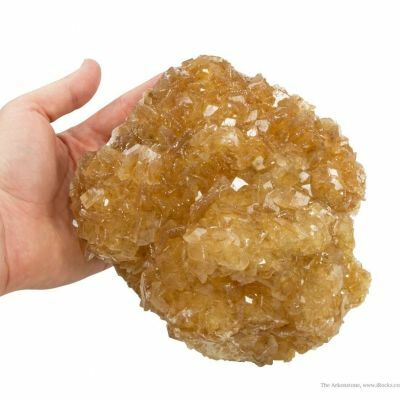 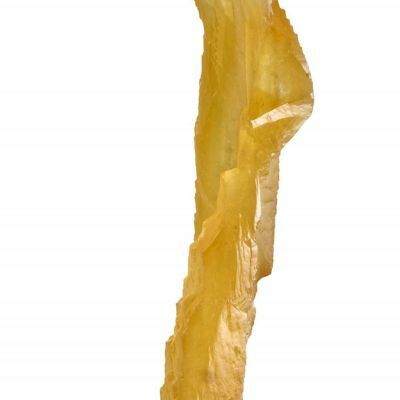 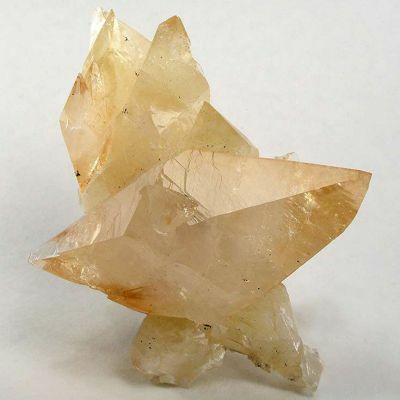 The largest crystal has gemmy, cognac colored terminations with one end exhibiting multi-forked tips.